Here at Shady Maple RV we will be glad to assist you in finding the RV part you are looking for. 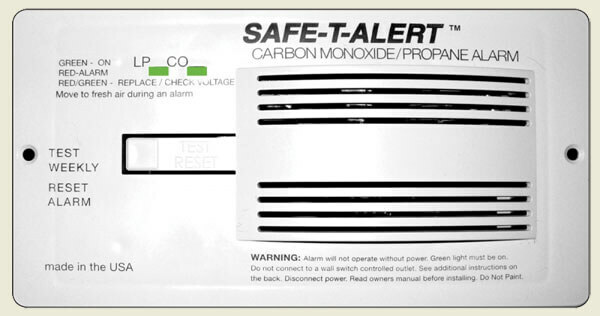 Meets 1/1/05 requirements set by RVIA for new RV's requiring both propane detectors and CO alarms. Also detects compressed natural gas (CNG)/methane. Test/reset button - tests all detector functions with one touch. Resets and mutes alarm while safety and corrective actions are taken. No dangerous gas required to test. Alarm is fully operational during mute cycle and will re-alarm if hazardous conditions reoccur. RV 12 volt hard wire model. Prevents accidental disconnection during alarm.